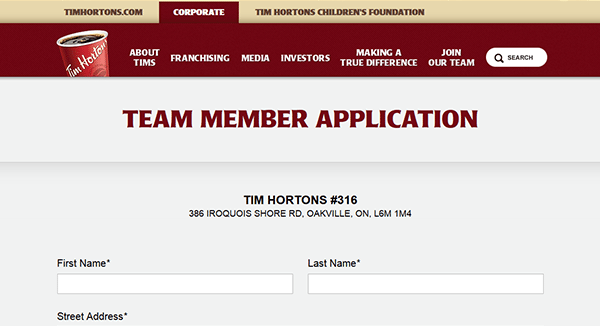 Use the links posted on this page to access the .PDF Tim Hortons job application (as well as the online version of the form). 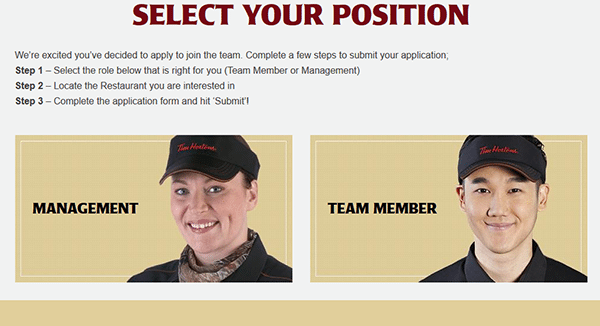 Both management and team member positions can be applied for on the company’s careers site. More information regarding the online hiring process can be viewed in the section posted below. 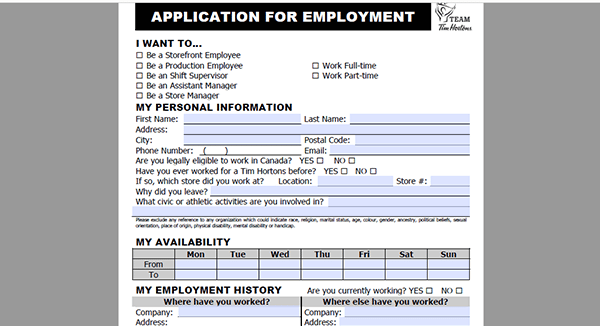 If you want to fill out the .PDF version of the form then scroll down to the “How to Write” section. 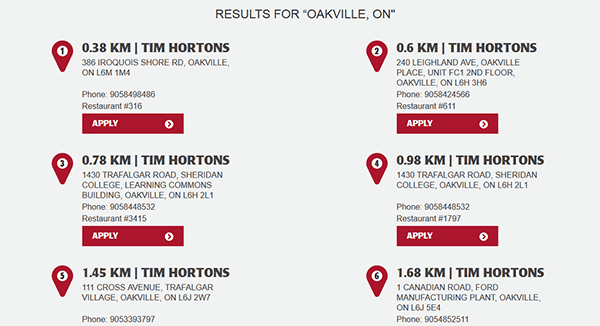 About the Company: Tim Hortons is a Canadian fast-food restaurant based out of Oakville, Ontario. The company operates numerous locations throughout the world and employs over 100,000 people. It was founded in 1964. Step 1 – Click this link to go to the company’s main careers page. 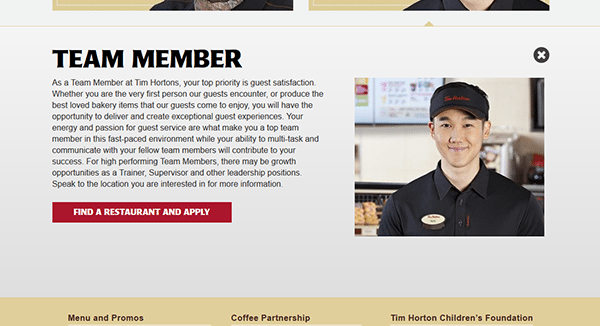 Step 2 – Select whether you want to search for management or team member openings. Step 3 – Press the “Find a Restaurant” link. Step 4 – Enter a city/zip code into the search form. The results will display below the map. Step 5 – Click the link of the location you want to apply to. Are you legal to work in the country? Have you worked for the company before? Step 1 – Download the .PDF document via the link near the top of the page. Step 3 – Sign your name and then enter the date.